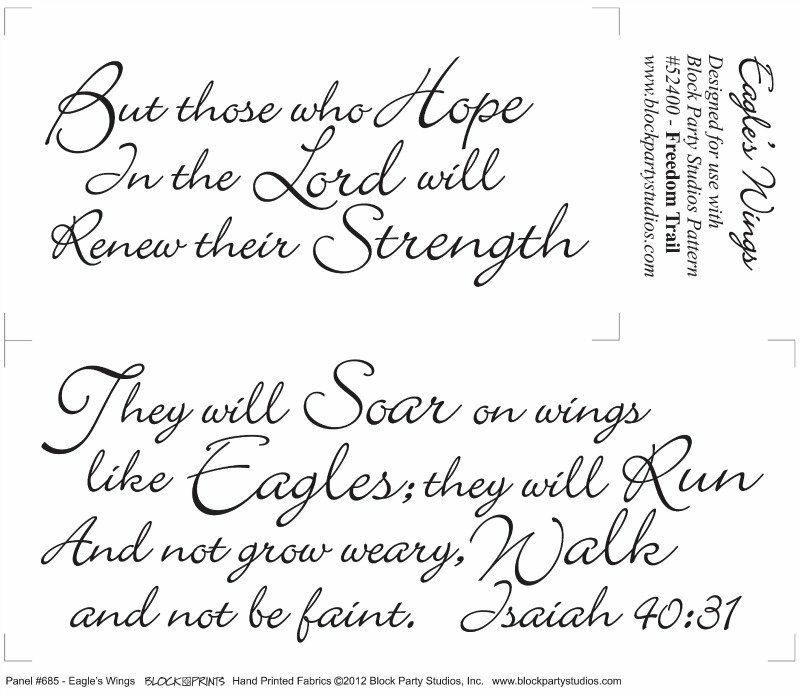 This uplifting quote from Isaiah 40:31 can give comfort and inspiration to anyone! This panel is designed to be used with our Freedom Trail pattern to make a 44” x 36” wall hanging. Or use it in a project you design! Panel is printed in black or natural or white 100% Kona Cotton.